I realize that many of you are lucky enough to live in cities where you can find a beautiful selection of unique notecards in every neighborhood. Many of you may be lucky to live in small towns where you know you'll be able to buy some funky stationery at a local shop. My new town, however, does not have much in the way of non-Hallmarky card selection. I try to stock up on awesome greeting cards when I see them (and you know I have a robust thank you card selection at home already), but sometimes I just need a last minute card and I am stuck with the mass-produced, inspiration-heavy, drugstore-style options. Not for me. Bright colors! Gift wrap! Single cards with fun, modern designs! 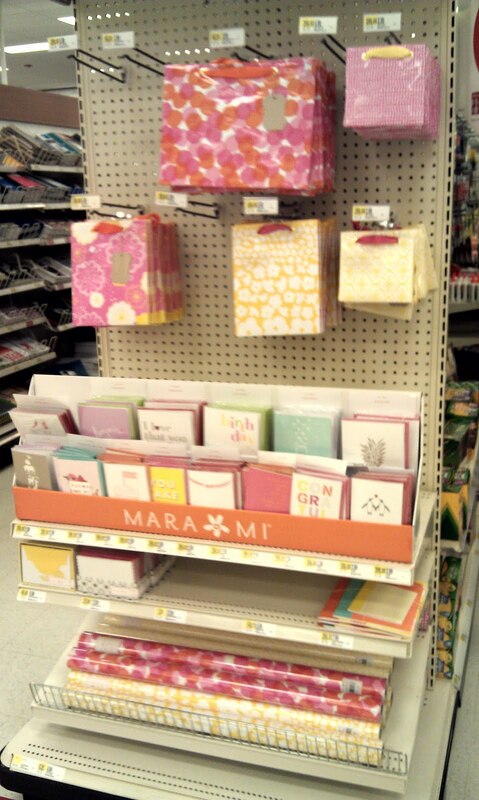 Stylish boxed cards! 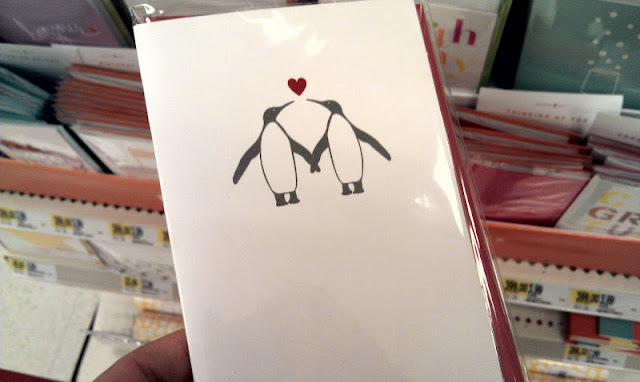 Obviously these are still mass produced and I prefer to buy from smaller shops when I can, but it's good to know I can always make a Target run next time I need a cute card in a pinch. Stay in touch and stay homey!